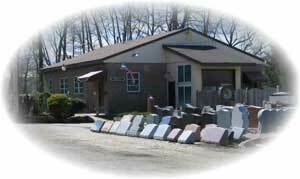 Peterson Monuments, Inc is a family owned and operated business, serving the South Jersey area for three generations. Established in 1923, our company has been helping families with unsurpassed service for years with the selection and design of beautifully designed memorials. 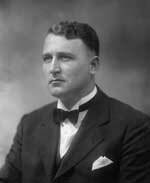 Starting in 1923, Robert C. Atwood sold memorials as an addition to his Funeral Home business. 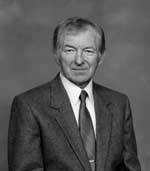 In 1959, L. James Peterson joined the firm and took over the memorial sales and service. In 1975, James R. Peterson joined the business and it then became known as Atwood-Peterson Memorials, and went from sales and service to a full production monument shop. In 1980 we moved into our present facilities, and in 1985 incorporated and changed the name to its current name, Peterson Monuments, Inc. Since then Jane R. and Jill B. Peterson joined the firm along with one other full-time and two part-time employees. 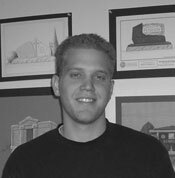 In 2007 our son, Matthew Peterson became the 4th generation to join the firm. Having one of the most modern shops in the area we offer the finest grades of guaranteed granite, marble and bronze in South Jersey. Our domestic granites come from Barre Vermont, Elberton Georgia, Cold Spring, Minnesota and our imported stock come from the world over. 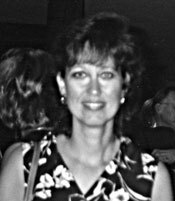 We also have on staff an award winning designer who combines old world craftsmanship along with the latest in technology in creating artistic personalized memorial tributes for the families we serve. Along with cemetery monuments, we also design and build war memorials; public memorials; sell granite, bronze and marble statuary; do restoration and repair; and carve and letter inscriptions in cemeteries and elsewhere. Our specialty is telling your story in stone, by designing one-of-a-kind creative memorials individual to each person or family. It is for this type of work that we have received many design awards, both local and nationally. 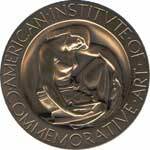 In 1996 we attained the recognition of being invited to join the American Institute of Commemorative Art; a prestigious organization that strives for excellence in design and business practice and limits its membership to 60 North American firms and is by invitation only. 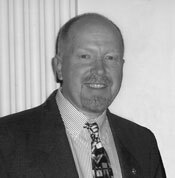 Jim has been an active member serving on the Board of Directors since 1999, as well as President from 2006 through 2008. ATLANTIC COUNTY VETERANS CEMETERY MEMORIAL- Estelle Manor, NJ; MISSIONARIES OF THE SACRED HEARTS of JESUS and MARY PREIST’S MEMORIAL, Holy Cross Cemetery Mays Landing NJ; HAMMONTON KNIGHTS OF COLUMBUS ABORTION MONUMENT- Holy Sepulchre Cemetery Hammonton NJ, THE CROSS FEATURE MEMORIAL-Holy Sepulchre Cemetery Hammonton NJ; POLICE CHIEF WILLIAM MORROW MEMORIAL-Somers Point NJ; MARY BATTERSBY MEMORIAL-Palermo, NJ; UPPER TWP. WAR MEMORIAL, Upper Township NJ; GERMANIA CEMETERY WAR MEMORIAL, Pomona, NJ; HAMMONTON KOREA and VIETNAM VETERANS MEMORIAL, Hammonton, NJ; EGG HARBOR KOREA AND VIETNAM VETERANS MEMORIAL, Egg Harbor, NJ; CARL HASSELHAN FIREMAN’S MEMORIAL, Atco, NJ; MAYS LANDING FIREMAN’S MEMORIAL, Mays Landing, NJ; PURPLE HEART VETERANS MEMORIAL, Atlantic City, NJ; NORTHFIELD KOREA AND VIETNAM MEMORIAL, Northfield, NJ; WILLIAM PHILLIS ALL WARS MEMORIAL, Pleasant Mills, NJ; BASS RIVER FORREST FIGHTER MEMORIAL, Bass River State Park, NJ; ABSECON VETERANS MEMORIAL, Emma C. Attles School, Absecon, NJ; 2nd RUNNER UP NEW JERSEY STATE KOREAN WAR MEMORIAL, Brighton Park and the Boardwalk, Atlantic City, NJ; GERMANIA FIREFIGHTERS MEMORIAL AND CHIEF’S MEMORIAL, Galloway Township, NJ; LINWOOD KNIGHTS OF COLUMBUS UNBORN MEMORIAL, Our Lady of Sorrows Church, Linwood, NJ, VENTNOR BOAT WORKS MEMORIAL, West Atlantic City, NJ, CARDIFF FIREFIGHTERS MEMORIAL, Cardiff, NJ, THE HAMMONTON FIRE CO.#1 MEMORIAL, Hammonton, NJ, THE ATLANTIC COUNTY FALLEN HEROES MEMORIAL, Atlantic County Fire Academy Anthony “Tony” Canale Training Center Egg Harbor Township, NJ, THE KNIGHTS OF COLUMBUS PRO-LIFE MEMORIAL, Mater Ecclesiae Church, Berlin, NJ, THE ROBERT PETERSON HEADMASTER MEMORIAL, The Pilgrim Academy, Galloway Township, NJ, THE ABSECON IRAQ / AFGHANISTAN MEMORIAL, Absecon, NJ, THE ABSECON POLICE ATHLETIC LEAGUE MEMORIAL, Absecon, NJ. We are active members of the Monument Builders of North America, American Institute of Commemorative Art (board member), and the New Jersey Monument Builders, and have been featured in many articles in our national trade magazines. We strongly believe in the continuing education of our personnel in order to give our clients the care and service they deserve when planning their memorial. Come see why so many area families and organizations have placed their trust in our company thereby gaining the peace of mind in knowing that their memorial is in the hands of the very best. Thank you for your interest in Peterson Monuments.